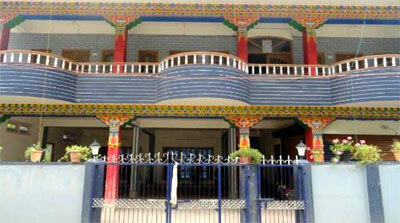 Awoo resort, Dirang is a luxury resort located on the picturesque valley of Dirang, West Kameng(A.P). Set in expansive Bushthang hills of the valley that run right down to the unspoilt sands of Kameng River, it has been built in traditional grandeur and has been designed to blend local extravagance with exotic local surroundings. We have 16 well- appointed rooms, all equipped with modern facilities, 24-hrs power back-up. 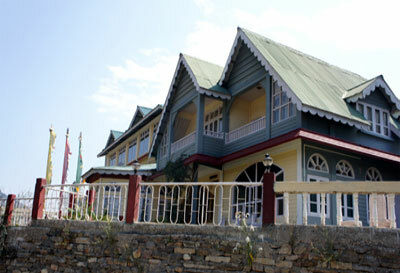 A multicuisine restaurant that overlooks the whole Dirang valley. Overview:If you are looking for a fresh atmosphere and warm hospitality while in Dirang Hotel Pemaling is the perfect place for you. Located amidst the lush green mountains and overlooking the beautiful Dirang valley, this hotel offers 23 well designed rooms and suites with personalized services especially for you comfort and well being. Enjoy the natural beauty of the place , delight yourself to the local cuisine and also learn the fascinating culture of the local tribal Monpas while on your stay in Hotel Pemaling. Overview: This is a decent hotel situated in city center. All basic amenities are provided. The hotels has back-up-power which is absolutely necessary in this part of the world. The Hotel also has a good restaurant with prompt room service on demand.